I wanted to share a cute page in my Bible today. I am reading the Go & Make Disciples devotional by Jess Robyn for Illustrated Faith. You guys have to look her up on her Instagram! 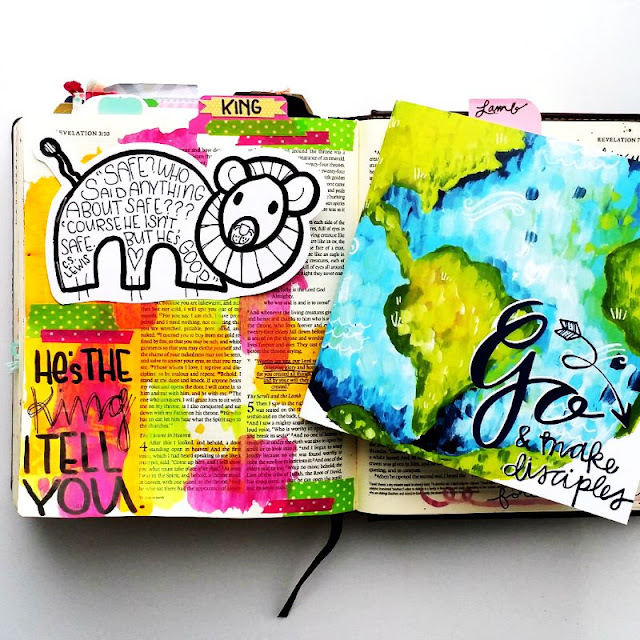 She is a seriously amazing artist and this devotional is AMAZING!! You can find the devotional and kit here. On day 2 in the devotional Jess includes a quote from C.S Lewis' The Lion, The Witch, and The Wardrobe. 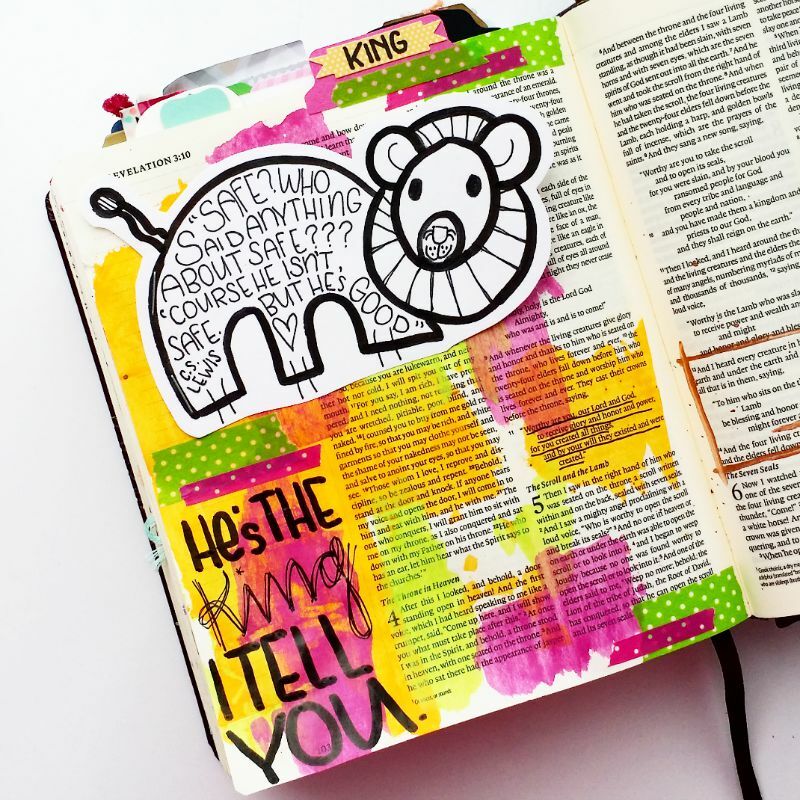 THEN, Jess posted a page in her Bible with the quote and a cute lion drawing on her instagram....well.....if you have been following me on social media for a while you know that my little 7 year old daughter is OBSESSED with lions, so, this morning when she brought me a picture of a lion she drew I knew just what to do with it! I added the quote which Jess used in the devotional, out some paint on the page and stapled the drawing on the left so you can lift it and still see the text underneath. I am in love with this and my little daughter was so thrilled to have her drawing in my Bible. I wrote my daughter's name and the date on the back of the lion but there is plenty of room to journal on the back side I am just in love with this page! He is good! He is the King!! friends...this is our God! I have added some links to the paint and supplies I used to the bottom of the page. I hope you will check out this and the other devotionals offered by Illustrated Faith. They are so wonderful! !